A video tutorial on what knots to learn and how to tie them! Not long ago I came across a video from a charming man called “5 Knots Everyone Should Know.” This sort of skill is one of the many things one must learn in a lifetime in order to be a fully rounded individual. This video is wonderful and has sparked my interest, but I couldn’t find the links to the videos they mentioned to the detailed instructions, so I’ve compiled that list myself below. A bowline is used when you want to create a fixed loop at the end of a rope quickly. It is easy to tie and untie, even after being put under load. This is sometimes called the “King of Knots” because of how ancient and important it is. Below is the text version of the instructions on how to tie the bowline. First start by making an overhand loop towards the working end. The loose end is then brought through the bottom through the loop around the working end and then back through the top of the loop. To do this quickly I swoop around the working end and rotate my wrist. This forms a loop in the line can be put around the working end brought through the loop and then tightened back up. As the Essential Craftsman says, this bowline knot can also be used to create a very strong slipknot if you wish to have the load on the rope cinch down the hole in the end of the rope. According to Wikipedia, the cow hitch is a hitch knot used to attach a rope to an object. The cow hitch comprises a pair of half-hitches tied in opposing directions. The first video in at the top shows how to do this very easily at 2:41. I think he covers it pretty well and along with the above liked Wikipedia article, you should have this one down pat in no time. He also mentioned that this knot is good for holding the end of a string line. To fully understand how to tie one, I think that the video linked below is the best, most clear example of how to tie one. The water knot is used for joining two pieces of rope or nylon webbing. The beauty of this knot is that tension on the line makes the knots stronger, if you make it well it is always easy to untie, it centers itself on the line, and you never have to worry about it slipping. The video below gives a short but clear method for tying it. Now, I haven’t been able to find anything else about this knot on the internet, but for the application he is using it for (creating a string line), it seems perfect. You can see how he ties it at 8:49 in the first video. It also appears to be very similar to the Improved Clinch Knot which I couldn’t find a video for, but it does allow me to link directly to the amazing “Animated Knots” website. 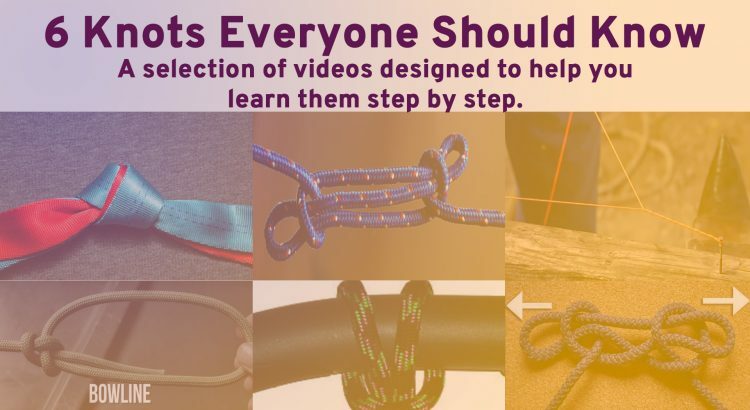 I highly recommend that site if you want step by step instructions for any of the above knots. 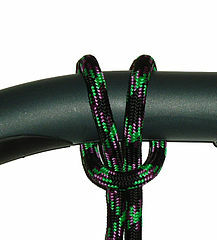 The taut-line hitch is an adjustable loop knot for use on lines under tension. It is useful when the length of a line will need to be periodically adjusted in order to maintain tension. It is made by tying a rolling hitch around the standing part after passing around an anchor object. Tension is maintained by sliding the hitch to adjust size of the loop, thus changing the effective length of the standing part without retying the knot.